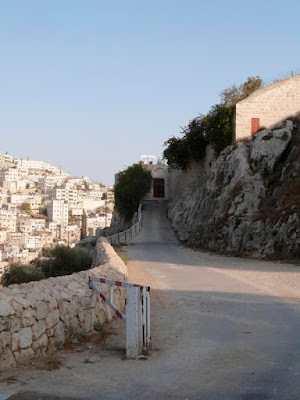 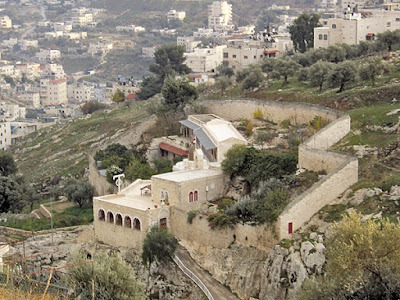 Akeldama, which in Aramaic means "Field of Blood", is where Judas Iscariot committed suicide by hanging himself, in Jerusalem’s Hinnom Valley — a picturesque setting whose infamous history of child sacrifices caused it to be identified with the hell of unquenchable fire and punishment. 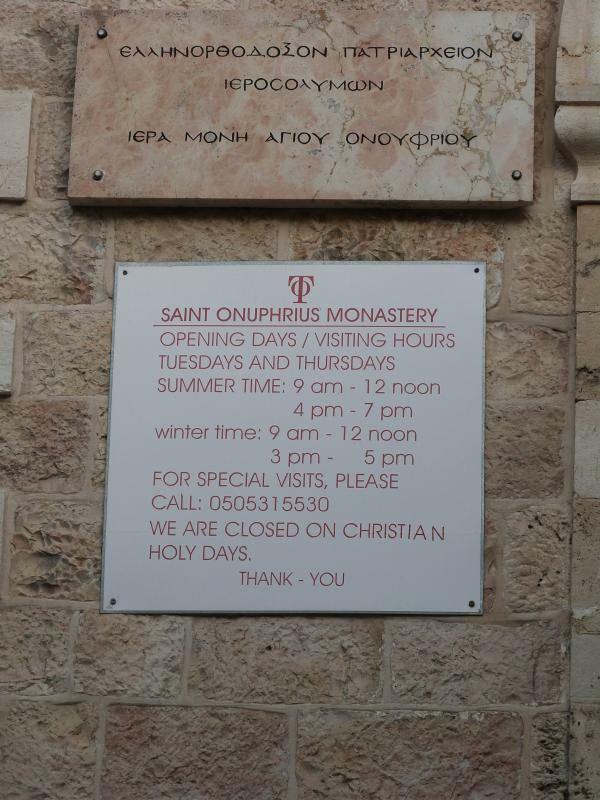 The Greek Orthodox Monastery of Saint Onouphrios now stands on the place where Judas is believed to have hanged himself. 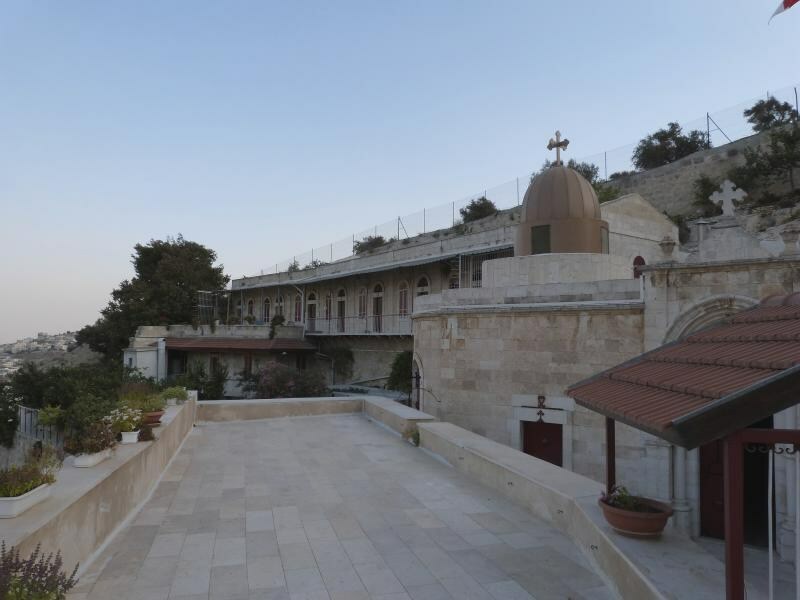 The monastery occupies a narrow terrace on the southern face of the valley, facing Mount Zion and the Old City walls. 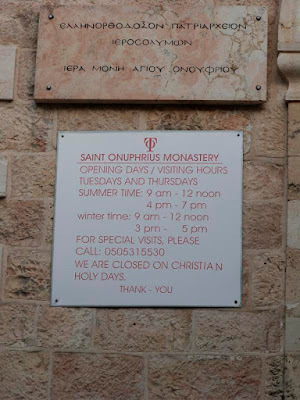 The Monastery of Saint Onouphrios, built in 1874 over the remains of an earlier church building, is occupied by a small community of Greek Orthodox nuns. 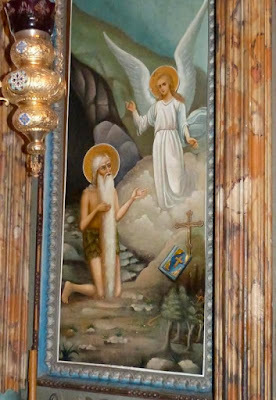 It is dedicated to the holy Egyptian ascetic of the fourth century. Onouphrios was famous for his luxuriant beard, which was his only garment apart from a loincloth of leaves. 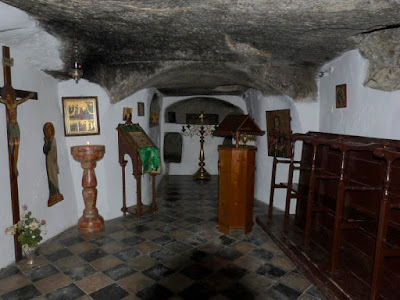 It is believed by some, according to tradition, that Saint Onouphrios came here from Egypt and spent three years in a cave, which is why the monastery claims a cave there is where the Saint lived and prayed. We know this tradition existed as early as the 13th century, when the Dominican Ricoldus of Montecroce says that he visited the cell of Saint Onouphrios at Akeldama. 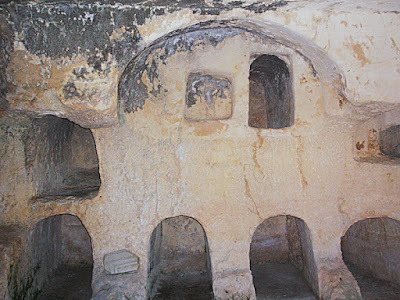 In the Roman period, many of these caves were occupied by monks and hermits. The monastery chapel is in a former burial cave, with holes in the walls where bodies were laid. 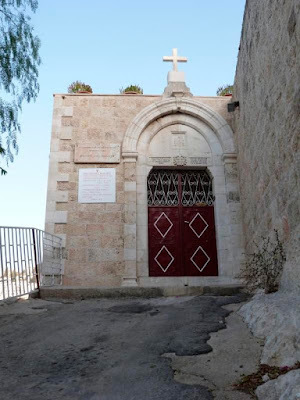 A 14th-century tradition says eight of the apostles hid here after Jesus was captured at Gethsemane, and that it was here they first drafted the Apostle's Creed. The monastery today contains the cave which served as a refuge for the apostles. 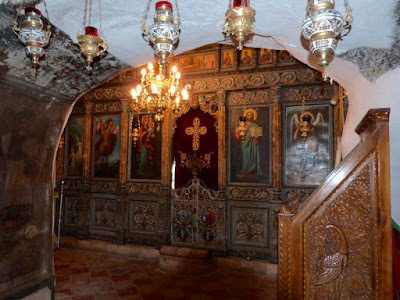 Because the monastery is surrounded by these burial caves, it has become an Orthodox custom to dedicate cemetery churches to Saint Onouphrios. 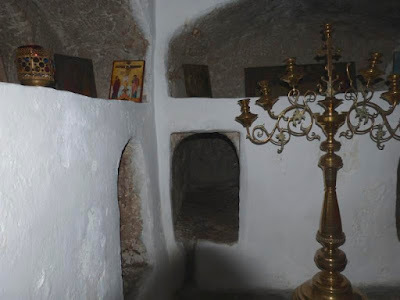 Near the Monastery of Saint Onouphrios are the remains of an underground charnel house built by the Crusaders in the 12th century, to bury the 50 or more patients who died each day in the hospital run by the Knights of St John near the Church of the Holy Sepulchre. 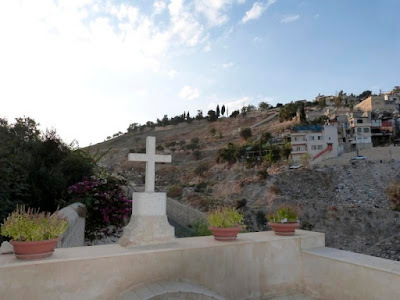 Loads of soil from this place were often taken to consecrate Christian cemeteries in Europe, in particular to Paris and Pisa, in the Campo Santo cemetery. 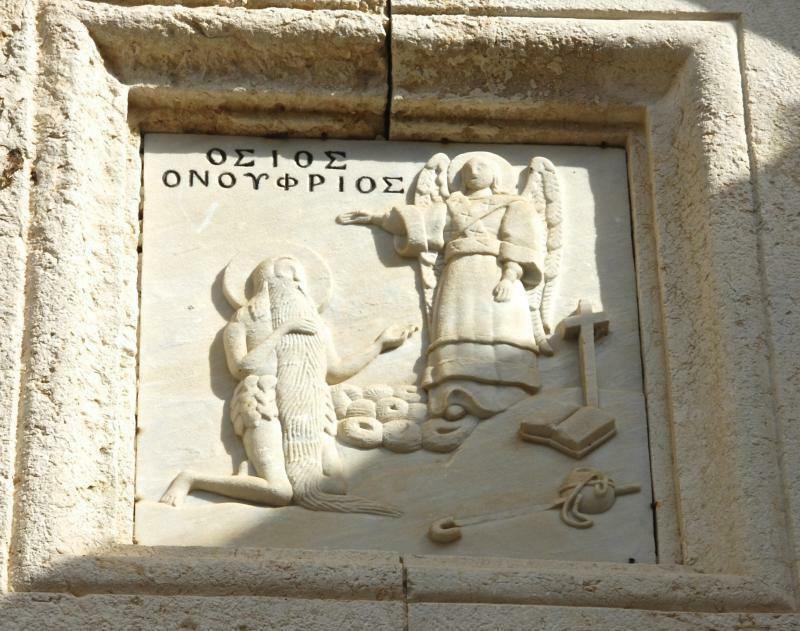 Saint Helen the Empress had some brought to Rome in the fourth century. 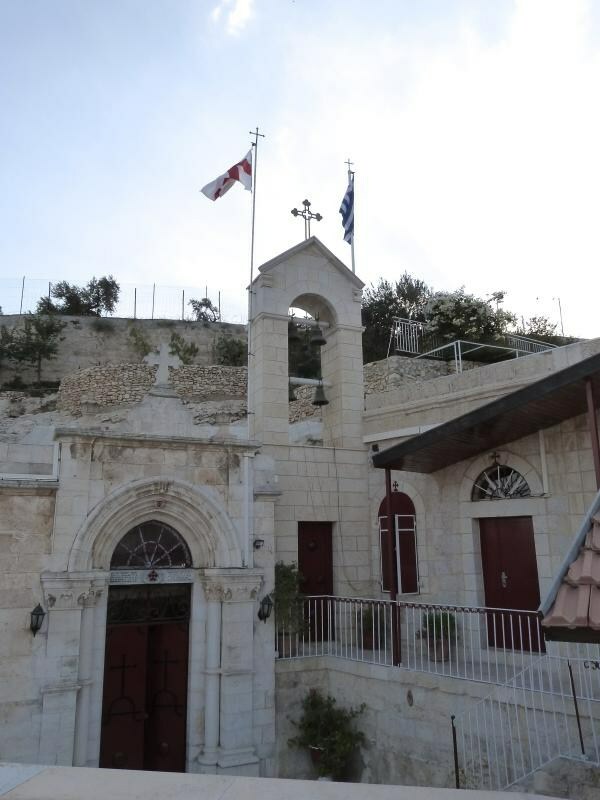 One of the tombs found near the monastery is believed to be that of Annas, head of the high priestly family that included Caiaphas, who presided at the trial of Jesus. On the same side of the Hinnom Valley, archaeologists excavating a tomb in 1979 found two tiny silver scrolls from around 600 BC, inscribed with portions of the priestly blessing from the Book of Numbers (6:24-26): “The Lord bless you and keep you; the Lord make his face to shine upon you, and be gracious to you; the Lord lift up his countenance upon you, and give you peace.” These inscriptions are the earliest known citations of texts found in the Hebrew Bible. In modern times the Hinnom Valley has become a green and pleasant venue for picnics, rock climbing and concerts.